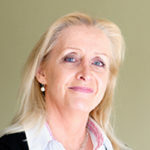 Professor Ann O'Connell is a member of the Not for Profit Project at the Melbourne Law School at University of Melbourne. Is There Any Chance of Certainty for the ACNC? Professor Ann O'Connell, Thursday, 22nd October 2015 - Dear Prime Minister, for the sake of the Not for Profit sector, please announce that your government does not intend to abolish the charity regulator, writes Professor Ann O’Connell, from the Melbourne Law School, in an open letter to Malcolm Turnbull.